For the things like the resistor, it doesn’t say what wattage they are if they are through hole, and if they are SMD, what size is needed, which corresponds with wattage? I see it lists “pin spacing” and “4 bands” which means they are through hole, but the board could be made with surface mount with the same spec’d parts, so I still need to know. Does anyone know how or where to identify this? 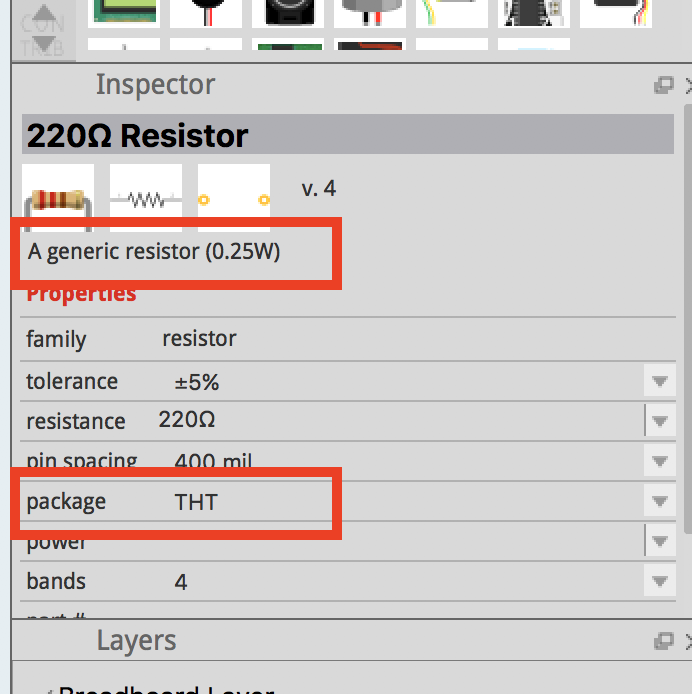 I looked at the parts under fritzing program and it doesn’t mention anything about wattage for the resistors or sizes. If questionalbe, look at the Part in the Inspector.